The Internet of Things (IoT), codified in 2013 by Internet of Things Global Standards Initiative (IoT-GSI; now led by the ITU-T SG20), has such a wide range of applications that it can grow beyond our expectations. IoT is the internetworking of physical devices, vehicles, structures and other items embedded with electronics, software, sensors and other network connectivity that allows these objects to collect and exchange data. IoT provides network connectivity, connectivity management, data analytics, management and automation, security, embedded networks and other applications. An example of IoT would be “smart” thermostats that learns what temperature you prefer and builds a schedule around yours. It uses sensors and real-time weather forecasts along with the actual activity in the home throughout the day to keep your room temperature comfortable and save in energy bills during the process. 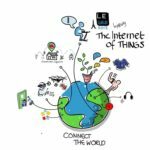 The possibilities for IoT applications are endless: Industries that have adopted IoT have used it for geographic specific infrastructure monitoring and predictive maintenance (i.e., Smart City IoT, Microsoft’s Azure cloud), asset tracking, automated vehicles, sustainable development, international aid (e.g., IoT in Africa), sports industry and sporting goods, real estate, seismic monitoring, et al. Water leakages along pipes can be alerted/noticed before such public safety hazards become a problem; vehicle auto-diagnosis can bring real time alarms to emergency services and provide advice to drivers — IoT for traffic congestion can monitor vehicles and pedestrians to optimize driving and walking routes (e.g., Hum.com). Air pollution monitoring, water quality monitoring and forest fire detection are some of the other many applications for IoT. “Smart” industries using IoT include manufacturing with connected factories, connected machines and connected supply chains. Also, “smart energy” has provided solutions for utilities and smart grids, oil and gas, and field area networking. In transportation, solutions in IoT include aviation, mass transit, maritime, rail, roadways, vehicles and cars. Remote monitoring and remote action by machines will contribute greatly to the efficiency of intended usage. Although IoT has been springing up in private partnerships, the open-source platform is gaining more momentum. Recently, GE and Bosh utilized the open source platform through the Eclipse Foundation to make IoT software components work together. The two companies want to establish a core IoT software stack based on open-source software. They will work on several open-source projects such as creating code for messaging, user authentication, access control and device descriptions. The open source platform tends to be more advantageous than a private platform. For instance, the Google Cloud Platform is integrating its public cloud, which offers greater scale and better security than private in-house IoT platforms. Public clouds provide more advanced analytics, with often times, less hardware for software than private platforms. The full suite of Google Cloud services includes Prediction API for machine learning, the Cloud Datastore NoSQL database, and the BigQuery data warehouse. There have been six distinct types of applications emerging in two broad categories: information and analysis, and automation and control. Information and analysis includes tracking behavior, such as shopping behaviors and preferences; enhanced real-time situational awareness of the environment, such as detecting the location of a sniper shooting; and sensor analytics, such as continuous monitoring of chronic diseases to help doctors evaluate treatments. Automation and control includes process optimization, such as automated control of manufacturing lines; optimized resource consumption, such as smart meters and energy grids that match load capacity to lower costs; and complex autonomous systems, such as collision avoidance systems to sense objects and automatically apply brakes: The many applications of IoT across all sectors of industries will make the IoT platform beyond our imagination. Having an open-source platform for developers to join and not have disparate, private IoT implementations, will assist the IoT in its further growth, much like the early days of the Internet. The usage of IoT applications in particular has been in the fleet trucking and automotive industry. For instance, the OBD-II (On-board diagnostics) provides diagnostics of repairs through its digital signaling. It monitors DTCs (Diagnostic trouble codes) that a technician can query on the on-board computer on any vehicle, since the codes are standardized. Most manufacturers have made the Data Link Connector or the main connector of all systems in the vehicle to diagnose and reprogram. Custom parameters can also be met for more specific data. Caliber Media Group, your digital marketing and web-assets production agency, in Orange County, CA, is on the cutting edge of providing digital marketing services to companies implementing IoT, Please contact Caliber Media Group for services at 714-867-1601. 1. Lawson, Stephen. “GE, Bosch and Open Source Could Bring More IoT Tools.” PCWorld from IDG. IDG Consumer & SMB, 26 Sept. 2016. Web. 29 Sept. 2016. <http://www.pcworld.com/article/3124749/ge-bosch-and-open-source-could-bring-more-iot-tools.html>. 2. Lawson, Stephen. “Bringing IoT Data Into Public Clouds Is Getting Easier.“PCWorld from IDG. IDG Consumer & SMB, 27 Sept. 2016. Web. 29 Sept. 2016. <http://www.pcworld.com/article/3125004/bringing-iot-data-into-public-clouds-is-getting-easier.html>. 3. By Michael Chui, Markus Löffler, and Roger Roberts. “The Internet of Things.” McKinsey & Company. MicKinsey Quarterly, Mar. 2010. Web. 29 Sept. 2016. <http://www.mckinsey.com/industries/high-tech/our-insights/the-internet-of-things>. 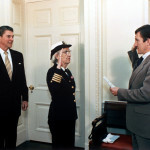 The mother of the COBOL computer language, Rear Admiral Grace Brewster Murray Hopper, readily torpedoed the words “We’ve always done it this way”, citing this expression as a most damaging phrase in any language. Regarding the ways in which we do, in fact, communicate, she insisted “we must have a language and a structure that will take care of the data descriptions and priorities, as well as the operations we wish to perform.” Ms. Hopper, a pioneering computer scientist for the U.S. Navy throughout the 20th century, won the first Computer Science Man-of-the-Year Award in 1969, and today you can find her motto “Dare and Do” affixed to the active guided missile destroyer the USS Hopper. So, Ms. Hopper demanded more structured, efficient, and meaningful languages than those used in the past. And the World Wide Web is amidst an ever-progressing shift in how languages construct structured web documents, for those languages to signal and deliver even more precise meanings to search engines, optimizing the relevance of the search results (operations) we produce (perform) every day. The Semantic Web (once known as the ‘Ontology Web‘) connects logic with language to produce meaning. Web engineers use semantic technologies such as referenced ontologies (e.g., Schema.org). Web technologists are also standardizing emerging industry-specific ontologies, or industry-normative taxonomies, to serve Line of business (LOB) semantics (i.e., domain-specific ontologies) for newspapers, libraries (e.g., LOC MOD), project management, art museums, biomedicine, biochemistry, genetics, the Life Sciences, IT services, the insurance industry (in tandem with ACORD), the mortgages industry, automobile manufacturers and car dealers, a comprehensive Semantics of Business Vocabulary and Business Rules (SBVR) standards, the eXtensible Business Reporting Language (XBRL) standard, the travel industry, and across financial institutions ontologies, within that industry. Seems like we’ve some a long way from stuffing keywords into web pages, now that we are applying syndetic (connecting) structures to syntactic semantics (Schema for indicating ‘meaning’), and an exhaustively thorough understanding of semantic ontologies was updated just last September within the Object Management Group’s — the OMG‘s Ontology Definition Metamodel (ODM) — with XML Metadata Interchange (XMI) files included. For the financial services industry many semantic web experts cite Dow Jones Corporation’s Factiva (initially named, ‘Dow Jones Reuters Business Interactive’) as the first large-scale project that deployed industry-specific structured data (taxonomies & ontologies) to finance domain-specific publications. Today, after multiple iterations and industry acquisitions, News Corporation‘s Factiva and LexisNexis are the leaders for high-end aggregated global financial and business news publishing. Yet, a comprehensive financial products and services industry markup language standard initiative began just one month after Factiva.com was launched: FpML (Financial products Markup Language), first proposed by J.P. Morgan and PricewaterhouseCoopers (PwC) in June 1999. IBM, SWIFT and other organizations joined this effort, a markup initiative focused on OTC derivatives markets (over-the-counter derivatives are traded between two parties, not through financial exchanges or intermediaries). FpML is overseen by the International Swaps and Derivatives Association (ISDA). The FIX Protocol standard, begun in 1992 for financial service entities’ securities trading, is now overseen by the FIX Trading Community, The Banking Industry Architecture Network (BIAN), founded in 2008, continues to work with the OMG and The Open Group to develop financial services interoperability frameworks. c) Speak more precisely and transparently with savings & loans consumers? Well, in 2012 we welcomed FIBO, the Financial Industry Business Ontology™, at an EDMC and OMG hosted conference, Demystifying Financial Services Semantics (subtitled: The Business Value of Data and Semantics) , during which we were presented “The Financial Industry Business Ontology” (by Mike Bennett, Director and Founder, Hypercube; Head of Semantics and Standards, EDMC), followed by “Financial Industry Business Ontology in Operations” (a discussion led by David Newman, SVP, Enterprise Technology Architecture & Planning, Wells Fargo). FIBO is overseen by the OMG Finance Domain Task Force (FDTF); FIBO OMG EDMC updates are found on this OMG Wiki; and, Adaptive, headquartered in Orange County, CA, kindly provides a visual FIBO concepts model. Here’s Dennis Wisnosky, the former CTO and Chief Architect for the US DoD Office of the Secretary of Defense (OSD), concisely introducing banking executives and semantic ontologists to the FIBO vocabulary (i.e., financial institutions’ financial instruments in the semantic world) in February of 2014. It was in February, 2013 that Dennis Wisnosky was appointed to lead the enterprise standards implementation process for the Enterprise Data Management Council’s (EDMC) Financial Industry Business Ontology (FIBO). What are the SEO ramifications connected to FIBO’s arrival? Caliber’s Emergent SEO is based on Schema, and Schema (along with other methods of applying structured data vocabularies to web documents, such as RDFa and JSON-LD) is derived from industry-specific lexicons. As FIBO matures to standardize the structures within its vocabularies’ terminologies so will those frameworks yield even greater utility within the Semantic Web — the Ontology Web — providing much more precise search results (i.e., “findability“) for the financial institutions that have implemented this explicit, specific and rigorous markup to the respective financial services and financial instruments. Beneficiaries will include commercial banks, brokerages, credit unions, investment banks, insurance agencies, foreign currency exchanges, and other financial services entities‘ offerings. 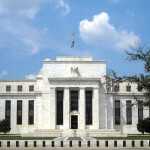 Update, May 2015: Schema.org has assembled a select working group, working under the project title of FIBO.Schema.org, and Caliber Media Group will be assisting in setting the Financial Industry’s Schema.org Ontology. And, here’s a sneak-peak into FIBO Schema as proposed/developing within Schema.org December, 2015.